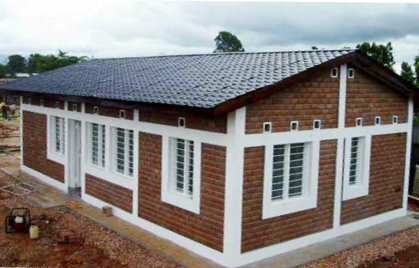 During the recent 14 year war which took place in Burundi pastor Leonard Tuyishimire gathered 40 children who had been lost, abandoned or bereaved due to the unrest in the country, due to sickness or disease or the early death of their parents caused by accident or due to HIV/AIDS. Pastor Leonard took care of these children in the best way he knew how but was faced with lack of funds for food and clothing and was unable to house the children well orto send them to school. The children we in a sad state and in great need with little hope of a bright future. One day in the summer of 2006 whilst at a church conference Pastor Leonard met those who might be able to help him; a visiting team of missioners from the UK. Pastor Leonard asked for help and the positive response he received has developed into the Hope Centre in Gatumba, Burundi. Now the children are in good shape, they are well fed and clothed and are going to school, some having reached university. Their ‘chance’ encounter has become a life changing experience for them. Their view of the future has changed and present situation is allowing them to live a full and enjoyable life. Mission International has been able to raise funding to construct homes for the children to live in. They are safe and secure and have a bright outlook on life. 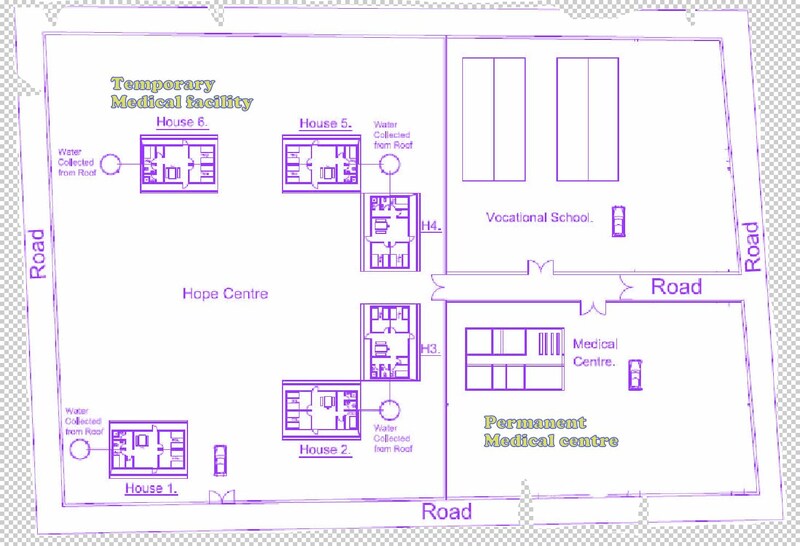 Below the overview of the plans for the hope Centre in Burundi shows 6 homes on one part of the site and a skills training centre and a medical centre on the other half of the site. 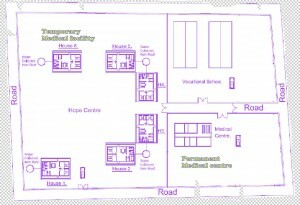 Please consider supporting the Hope Centre children through sponsorship or gift donations. Now that the children are reaching the end of secondary school they are seeking ways to fund their time at university. Your donation can help them to achieve a successful degree and a good job as a result. Please visit our Give.net page to see how you can support a child either on a one off, or on a regular basis. Search for the Student Support option for one-off donations.